If you have a Rolex watch that you want to sell, please give us a call for a quote and to set up an appointment to sell your watch. We buy all Rolex watches, new, used, old or broken. We can offer the most cash for all Rolex watches. 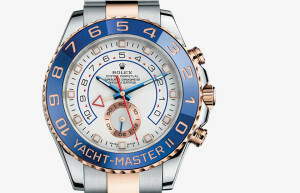 We are located in the Diamond District in NYC and have been buying Rolex watches for many years. We have excellent reviews and encourage you to check out our review sites for genuine reviews (typos and all). The reason for the most cash paid for your Rolex watch is simple. We have a clientele that demands luxury brand watches and can resell them at a fair amount and we know the prices so well that we can make you almost a full price offer minus a few percent for our commission. If you are looking to get a quote for a Rolex watch to sell fill out the form below with as much information as possible to ensure you get a close ballpark figure on how much we will buy your Rolex watch for. We are located on 47th street in midtown Manhattan’s Diamond District and can pay you the most cash for your watch then any jewelry store, pawn shop, or fly by night internet gold buyer. We simply appraise your Rolex, and give you the highest price and take a very small percentage for resale. It is so easy to sell your Rolex watch in NYC, Just give us a call or walk-in any time Mon-Fri 10am-6pm and we close at 330 pm on Fridays. What kind of Rolex watches do we buy?